After long back once again, I try to create small note or share my knowledge with SharePoint community in Singapore, This article covers 3 basic steps to Install & Configure, Learn and understand the change on SharePoint 2013 Preview. I try my level best to cover visually step-by-step configuration from simply enabling Hyper-V on Windows 8, installing Windows Server 2012, SQL Server 2012 to complexly installing SharePoint 2013. Hope this help you, Please note that this only for test purposes not on production. System Requirements, Download tools & Setup and Install. Windows 8, Go Windows Features and Enable Hyper-V feature. I configure using Hyper-V (Windows Server 2012 RC on Windows 8), Domain Controller with SQL Server 2012. 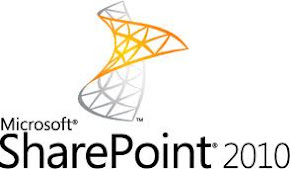 Once prerequisites software installed, please restart your Windows 2012 OS and install SharePoint 2013 Preview. SharePoint 2013 configuration Wizard helps to Install and configure features and services,Configure security and create sample data. Enter SQL Server 2012 / 2008 R2 Instance name, User Name and Password. While installing SharePoint 2013 for a Stand-Alone setup on Hyper-V encounter some issues. Step 3. "Failed to create a Configuration Database"
Workstation - need to be started. Re-run the SharePoint 2013 Product Configuration Wizard. It should run right through the first 3 steps and start processing from step 4. Note, you may have to clean up databases created from previously failed attempts by the wizard. (else system will have more than one configuration and administration database). configuration wizard will start from task 4 to 10 and complete…. Find IT pro-focused how-to training and walkthrough videos with this interactive course about SharePoint 2013 including changes and new features for search, social, plus deployment and performance/scalability. Downloadable links for the presentations (.pptx) for each module are available later on this page. You can also download all presentations. Developer-focused how to training and walkthrough videos about Office 2013 and SharePoint 2013 including changes and new features for search, social, ECM, WCM, and REST. Learn about apps for Office and SharePoint. ECM: Newly expanded set of .NET server managed APIs, to customize Enterprise Content Management (ECM) experiences and behavior. Design Manager, Managed Navigation, Cross-Site Publishing and EDiscovery. Changes SharePoint Server 2013 Preview. The visual upgrade feature in SharePoint Server 2010 is not available in SharePoint 2013 Preview. Web Analytics in SharePoint Server 2010 has been discontinued and Analytics processing for SharePoint 2013 Preview is now a component of the Search service.